Allow me to repost the attractive shadows on our home’s terrace. Captured in 2011 and I haven’t yet seen the similar shadows until today. Extraordinary shadow patterns. Like delightful artwork. A great contribution to the b&w theme! Excellent! 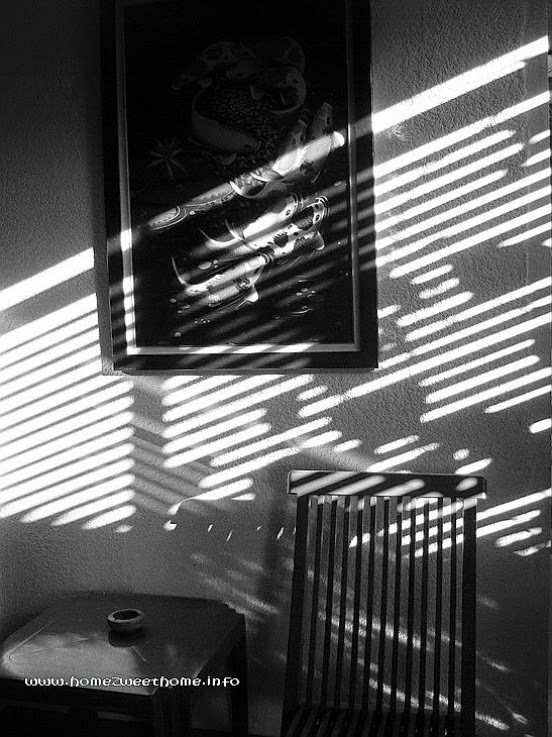 I love the way sunlight paints patterns through blinds.